Russian River Brewing Co. gets approval for new Windsor brewpub. “We received our planning approvals last night from the Town of Windsor and this article appeared in the newspaper today. Thanks for all your work on this, you were an important part of our team!”, says Peter Stanley, LEED AP, Principal at ArchiLOGIX. We connected with Peter half a year ago, but we had not had our first conversation until three months later. Like many other prudent clients, they are very careful about starting new cooperation with an unknown foreign company. They first commissioned us one single image as a pilot project. We took the opportunity seriously like we always do. To better portraying this project with its original taste of landscaping, we did lots of tweaks and adjustments. Undoubtedly, the result did not fail the client but succeeded in earning the rest of the job. Business is always a non-zero-sum game. We gained a precious client, a friend as well, and they also got us, a reliable CGI supplier. To whom may be reading this and still hesitating to put trust on us, just drop us a line now. We AIMIR are always standing by for your test. 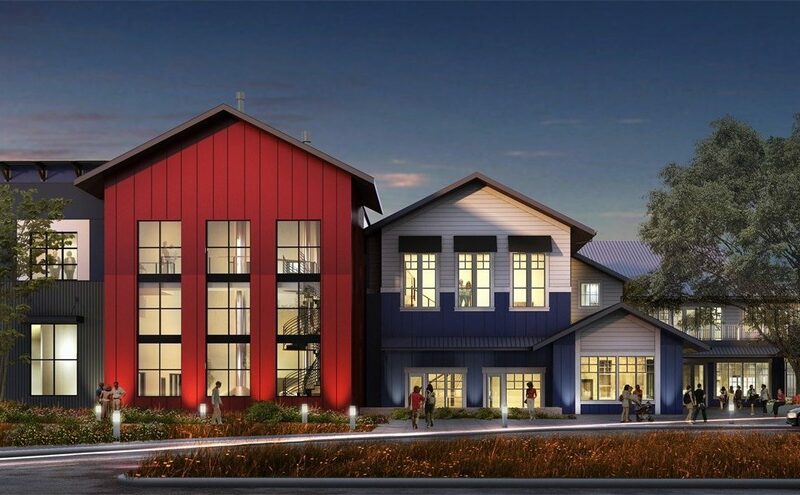 The Russian River Brewing Co.’s plans to build a new brewery, pub and restaurant in Windsor took a major step toward reality Tuesday with approval from the town’s Planning Commission. The construction work is scheduled to start in mid-April on the more than $30 million, 114,000-square-foot facility anticipated to open in late 2018.